Notice that not showing close tab button on non selected tabs doesn’t save horizontal space as place for close tab button is always reserved. Everything else is the same in VS10: there is only one row of tabs, new tabs are opened on the left, when tabs don’t fit the available space they are hidden, when hidden tab is selected it goes to the left corner, tab names for ASP.NET projects contain full path. Finally, some words about Tabs Studio support for VS10. Underlying tabs and windows implementation in Visual Studio 2010 is now WPF based, no more Win32 windows. Tabs Studio’s injection subsystem need to be rewritten to accommodate for this changes. Nice write up on WPF based window and tab interface. Good post and an excellent plugin. I really like that you focus on this tab problem in VS. Several of my colleagues basically think I’m silly because I like tab management. But. I’m a bit hesitant to pay for a plugin to a piece of software that already costs me several hundred dollars. If I buy a license now, would it be good for VS10? Whats your pipeline on rewriting it for VS10? Why not make it opensource; that way the community can help you? If you buy a license now, it will be good for VS10 and all other Tabs Studio upgrades. 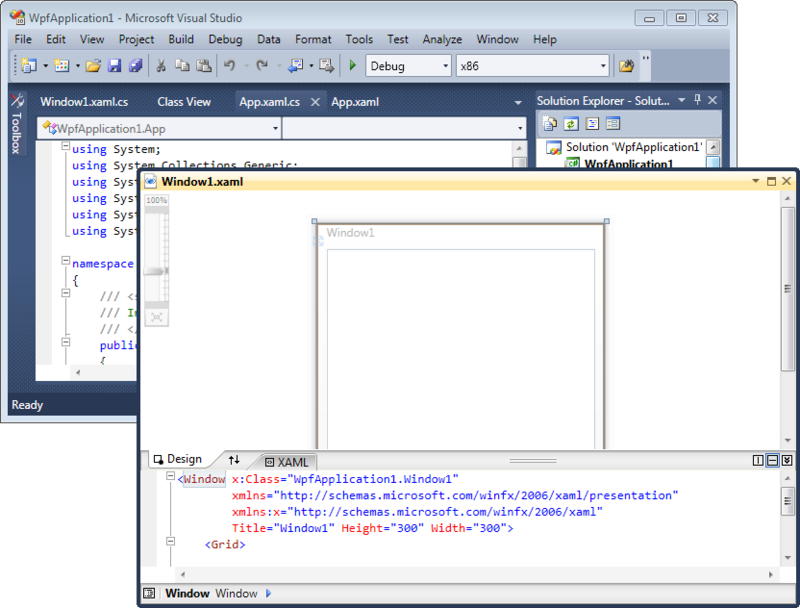 The latest Tabs Studio version works in VS 2010 RC and I hope it will work in VS 2010 RTM in April. Tabs Studio has extensibility API and style customization, so it can be enhanced by the community. VS2010 graphical style is pure crap. While competitors offer a nice modern UI, microsoft seems to be stuck back in the 80s where 2d plain colors were nice. They even have no decent tabs.